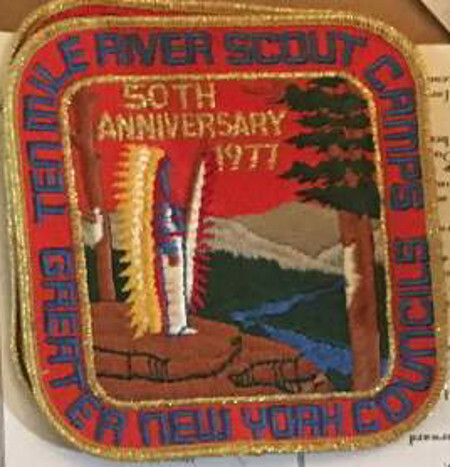 TMR is celebrating its 90th Anniversary this summer, here is another jacket patch from 1977 for the 50th Anniversary. This was one of several jacket patches issued to commemorate the Anniversary, I had previously posted the yellow twill version. There is also another version of the orange background patch where the feathers on the coup stick are orange rather than red.